BT&B Student Class Planner for iPhone is an easy to use app for tracking class assignments and test/exam dates. The Student Class Planner Works offline, NO web account required. We do not collect and sell your personal information. 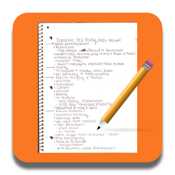 The Student Class Planner is Ad Free.